1976 FORD BRONCO, HIGH END EXPLORER TIME WARP CUSTOM BUILD…PERFECT BLEND OF EARLY BRONCO CLASSIC WITH MODERN DRIVETRAIN AND AMENITIES INCLUDING FUEL INJECTION, INDEPENDENT FRONT AND REAR SUSPENSION, 4 WHEEL DISC BRAKES, ICE COLD A/C, NAVIGATION, AND MUCH MORE….ONE OF A KIND…SHOW AND GO!!!! Welcome to the new 2018 Bronco!!! 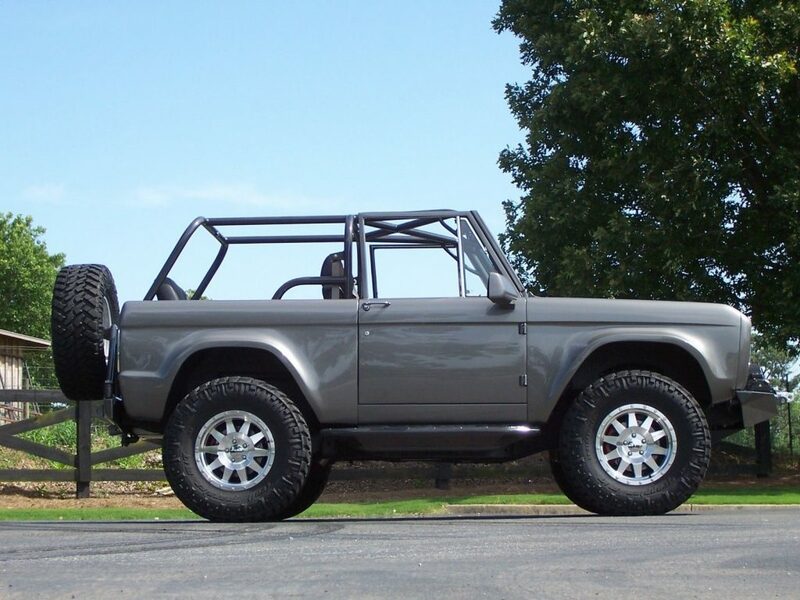 Okay, okay that is a slight exaggeration but I think that you’ll agree that this ’76 Bronco embodies most, if not all, of the features that Bronco Fans would love to see when Ford finally launches the 2020 Bronco. The reality is that the new Bronco will have some styling cues from these Classic originals but simply will not have the originality in styling that this amazing build offers. 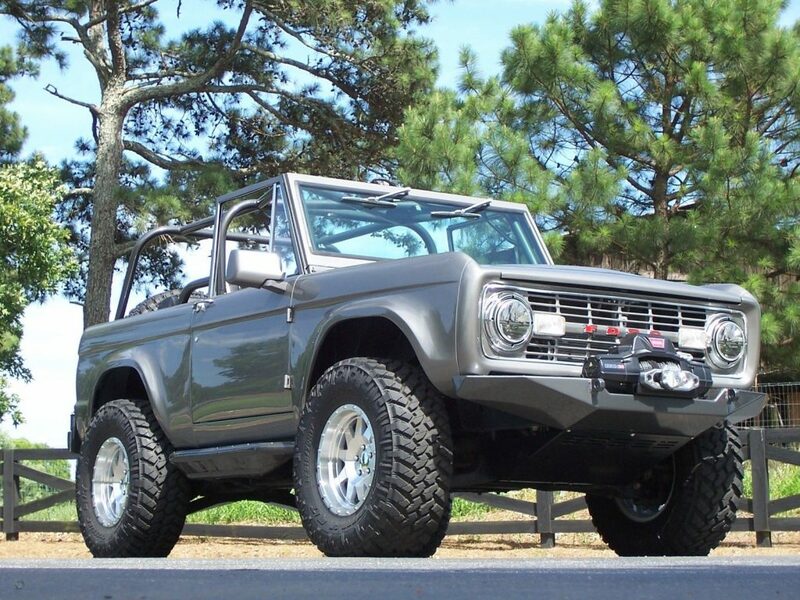 If you have followed the market you know that the Early Ford Bronco has been one of the most talked about vehicles in the collector car market lately. Values have sky-rocketed and several builders have been doing beautiful restorations incorporating a Coyote motor or other fuel injected motor under the hood. These are great and I love them but when Southern Off Road Specialists (SORS) here in Alpharetta, Georgia asked me to come by to check out their custom build I was truly amazed by what they had achieved. SORS is a family run business that has been customizing lifted trucks, Jeeps, and SUV’s for their customers for over 18 years. Their business has evolved tremendously and in addition to local customer builds they now customize over 3500 brand new trucks a year for dealers all across the country. With a staff of craftsman and highly skilled technicians on hand the family has also enjoyed building some of their personal favorites that are truly Time Warp Customs that combine classic styling with modern automotive technology resulting in one of a kind builds that have been shown off at SEMA and locally. This amazing 1976 Bronco is the latest Time Warp Custom that was just finished a few months ago and having been road tested for just under 1000 miles is now being offered for sale. They know that I have sold over 100 Classic Ford Broncos so I have been asked to find this amazing build a new home….maybe yours!!!? 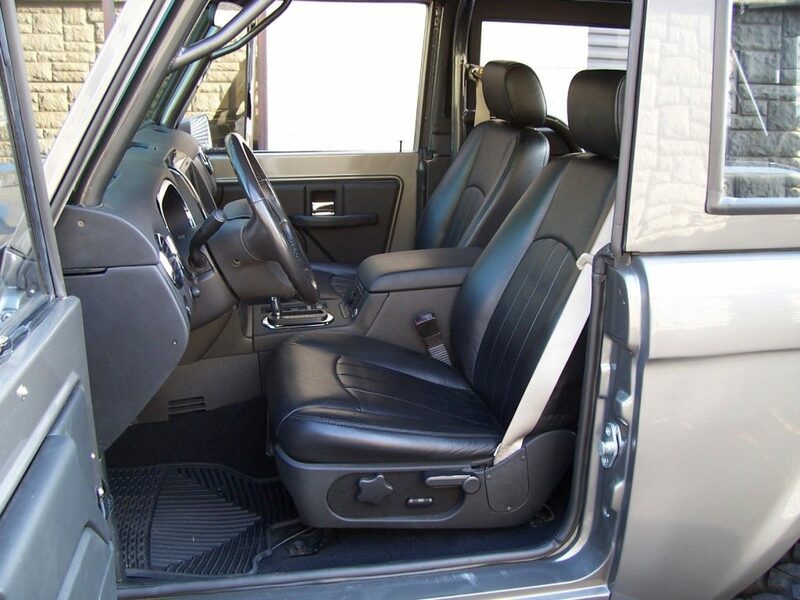 While some of the other Bronco builds offer a modern motor in a nicely restored, original Bronco platform, this build goes over and beyond, meshing a 1976 Ford Bronco with a 2010 Ford Explorer to offer you the classic looks combined with the driveline, suspension, safety features, and amenities of the newer SUV. Close to 1000 man hours went in to this build and the result is spectacular. This could truly be an everyday driver if desired and is also ready to cruise the beach, mountains, or your local roads. If you enjoy collecting trophies then show this baby off and get ready to attract a crowd!! I will do my best to provide enough large images, a video walk around so you can hear the Bronco start up and running, and an honest description to help you decide if you should be the lucky new owner. 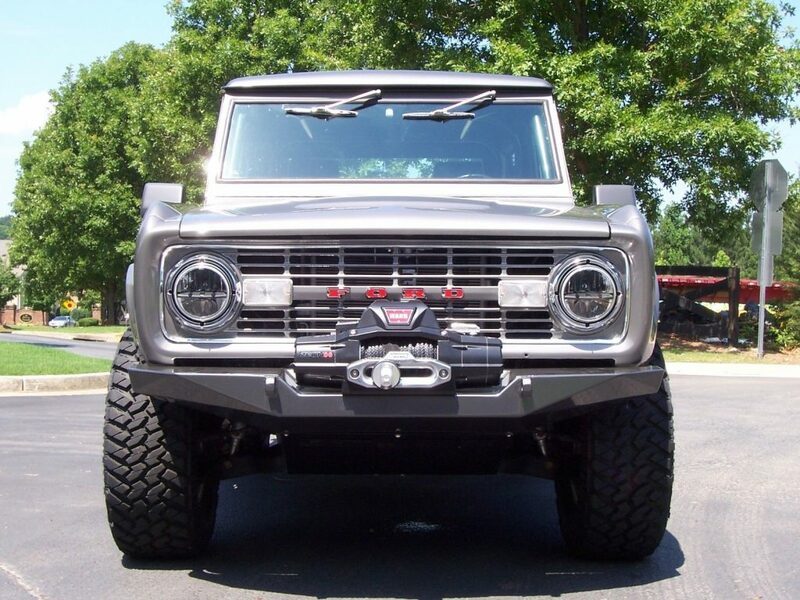 As with all of my classics I do have this Bronco advertised on several other sites in addition to my own. Serious buyers can call me at 770-359-8400 with any questions or to discuss how they can scoop this amazing build up before the next car guy or gal does. I am also a transport broker and can assist with a great rate on transport anywhere in the US. I also welcome overseas buyers and can assist with transport to the port of your choice. Sit back and enjoy!! !